Great Northern Slam Winner 2016! 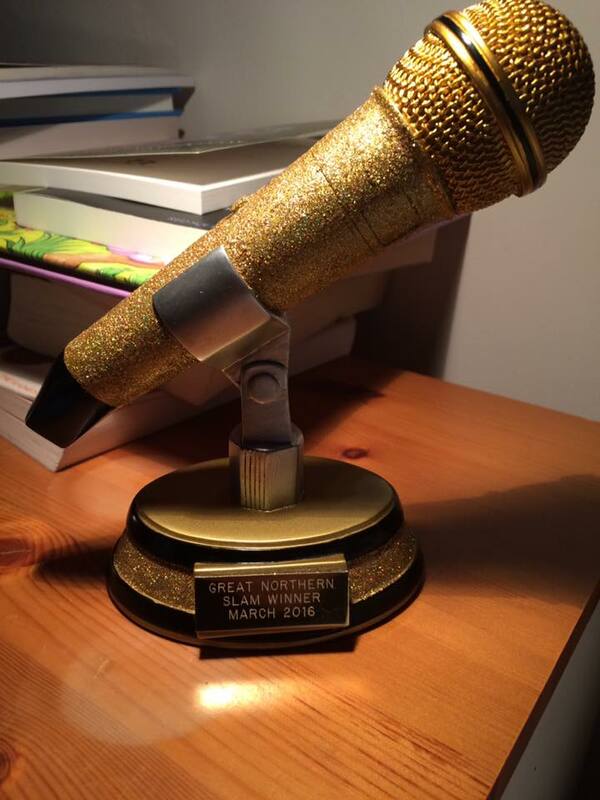 I won a shiny golden microphone from the Great Northern Slam at Northern Stage! My life is complete. I’ve also won a headline poetry slot courtesy of the lovely people at Apples and Snakes so watch this space for that. This was the best birthday present ever. I am utterly delighted. Thanks to all the other poets who competed, and to Jeff Price for putting on a great event. Looking forward to saying some more poems and words soon.